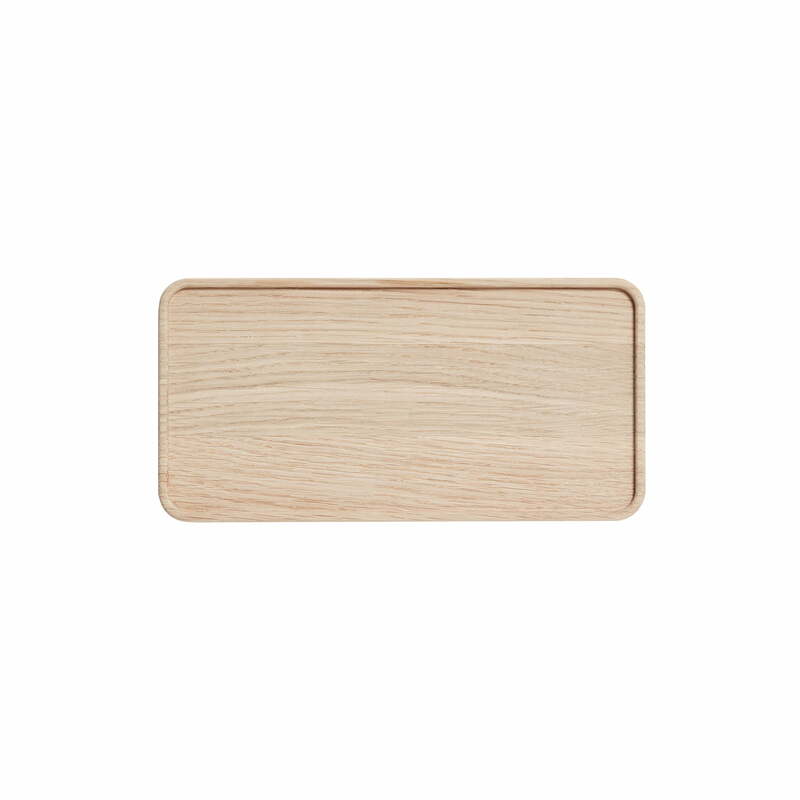 The Create Me tray by Andersen Furniture impresses with its absolutely timeless looks and the rounded corners. Thanks to the slightly raised edge, items won't fall from the tray, even if it may get a little slippery. The tray is made of oak wood in different colours and is available in different sizes. 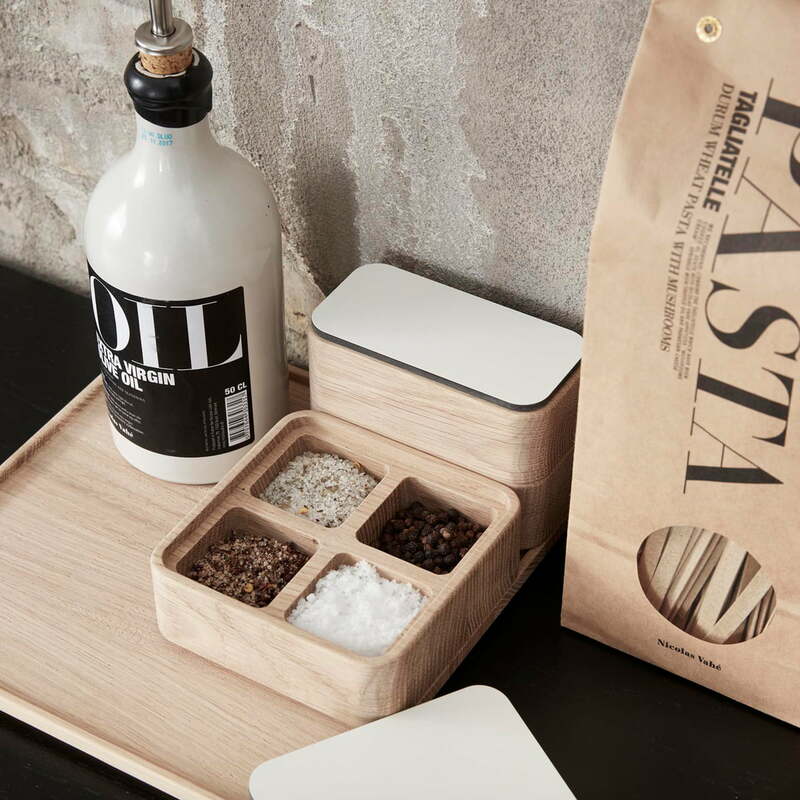 That way the trays allow to be used equally for decoration of spices or serving of snacks and drinks. Individual image of the Create Me Tray 12 x 24 cm by Andersen Furniture. The Create Me tray by Andersen Furniture impresses with its absolutely timeless looks and the rounded corners. 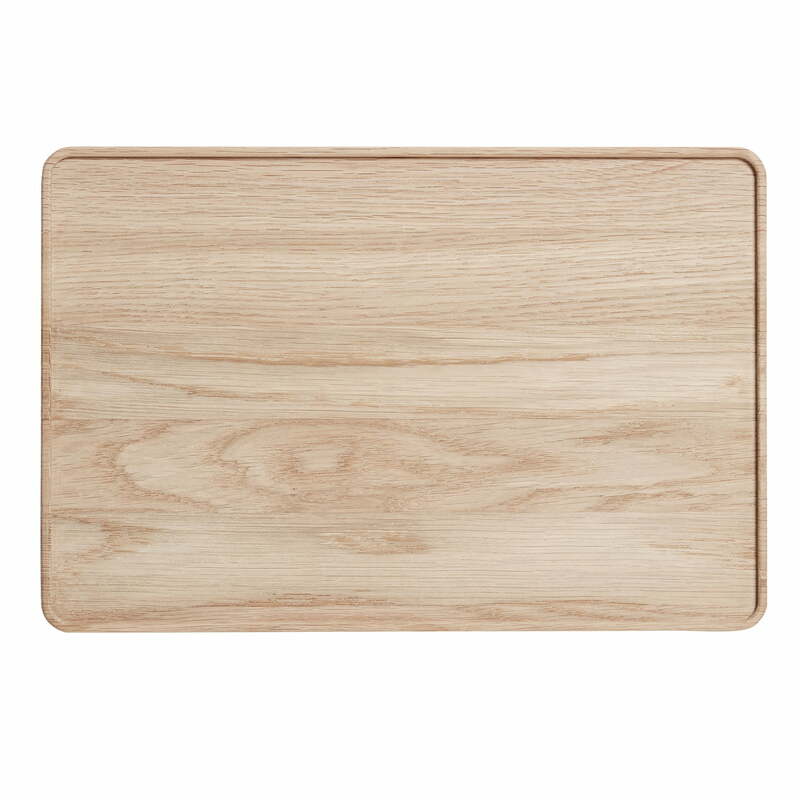 Individual image of the Create Me Tray 36 x 24 cm by Andersen Furniture. Thanks to the slightly raised edge, items won’t fall from the tray, even if it may get a little slippery. 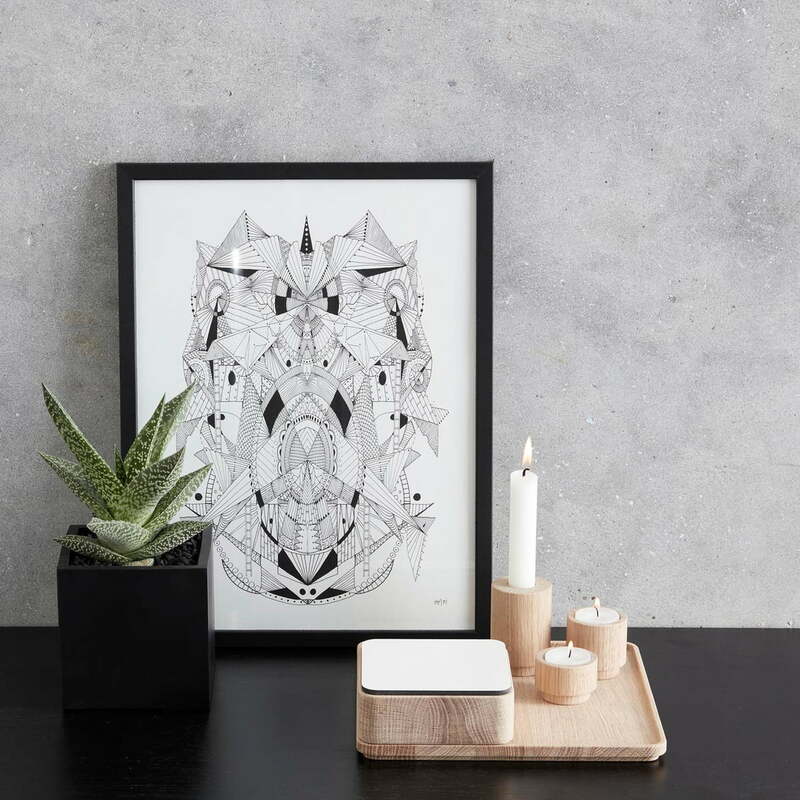 Ambience image of the Create Me Collection designed by Andersen Furniture. 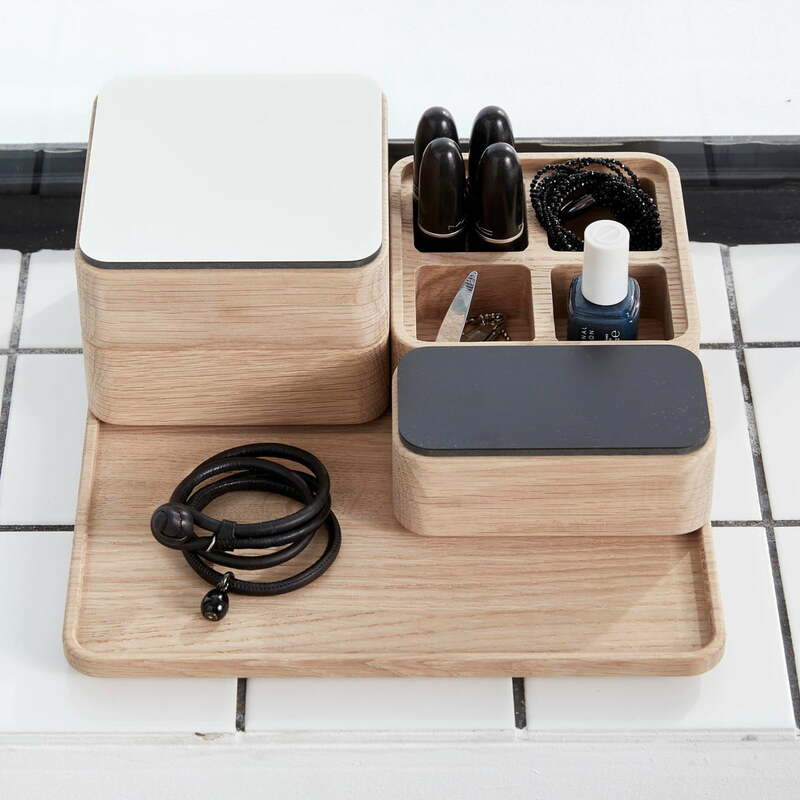 Lipsticks and nail polish can be easily stored on the tray and in the boxes. 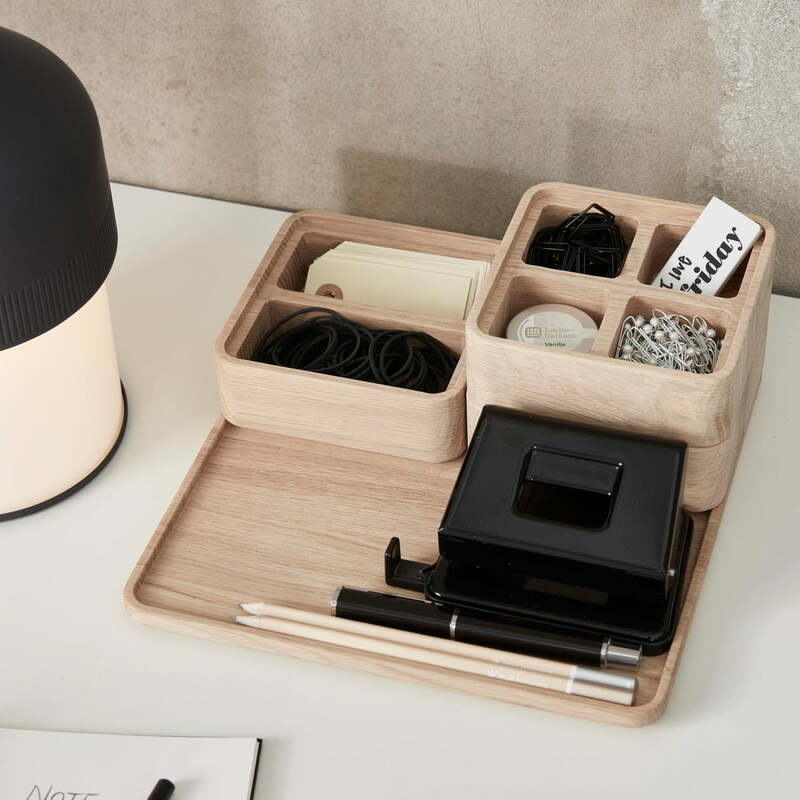 The Create Me collection by Andersen Furniture is a series of accessories that are made from oak. The boxes, candle holders and trays are timeless and decorative items for everyday use, which have many application possibilities. 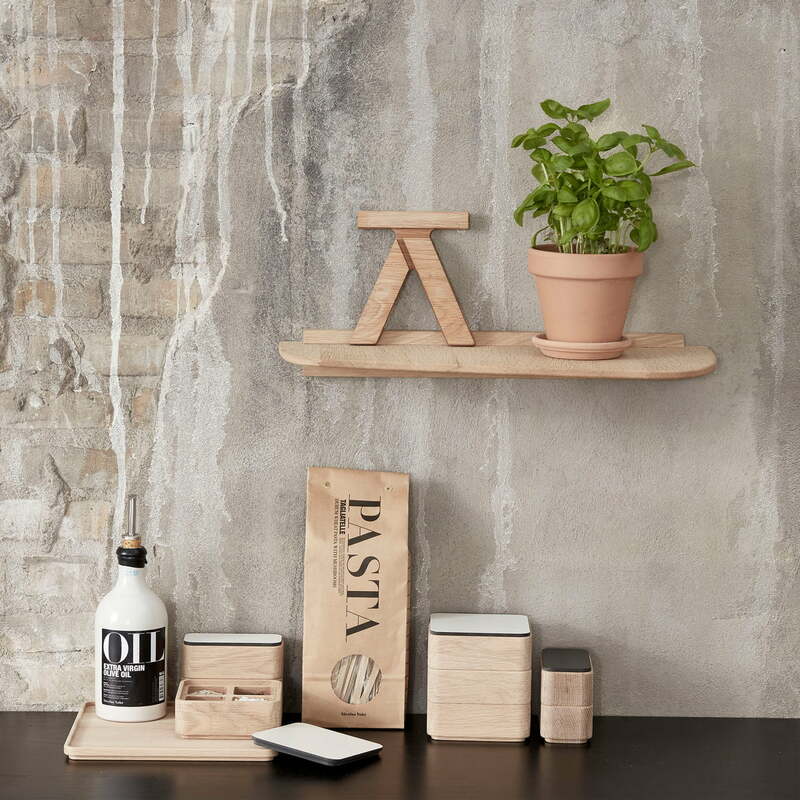 The wall shelf by Thomas Pedersen for Andersen Furniture is together with the Create Me boxes and lids and the Create Me tray very handy in the kitchen.